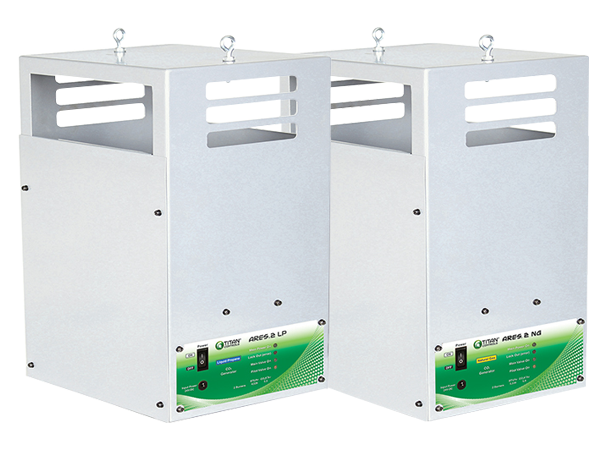 The Ares Series - Co2 Generator is used to create and maintain the Co2 in your growing environment. Co2 has been proven to considerably increase the growth of plants. The normal level of Co2 in the environment is between 300 parts per million (ppm) to 600 ppm. The recommended level of Co2 in the grow area should be around 1000 ppm and 1500 ppm. Your plants uptake Co2 only during day light hours, so by utilizing a Co2 controller or short cycle time will allow you to effectively monitor and dose Co2 in a safe and efficient method. 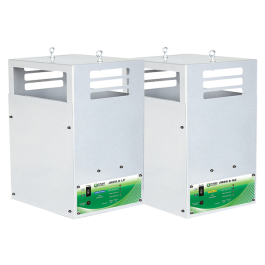 The Ares Series Co2 Generator is esay to set up and operate. Built with the highest quality components to provide the operator years of trouble free service. Includes: Co2 Generator, AC power supply, hanging chain, ceiling hook, appropriate hose and regulator. All you need to provide is a gas source!